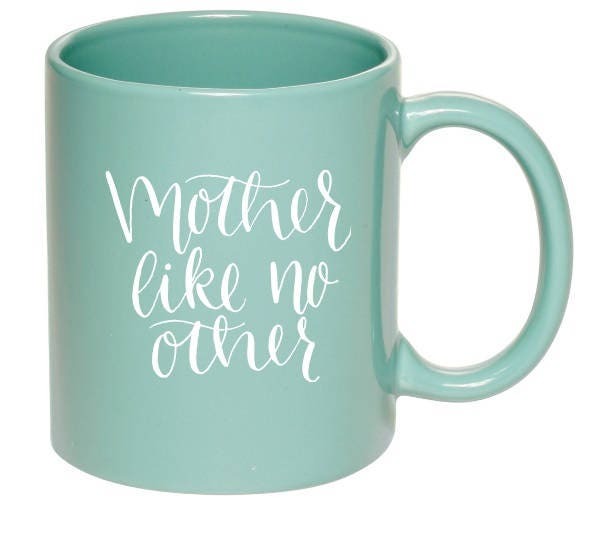 This mug is the perfect daily reminder for any mom that she is a rockstar! This listing is for an 11 oz. 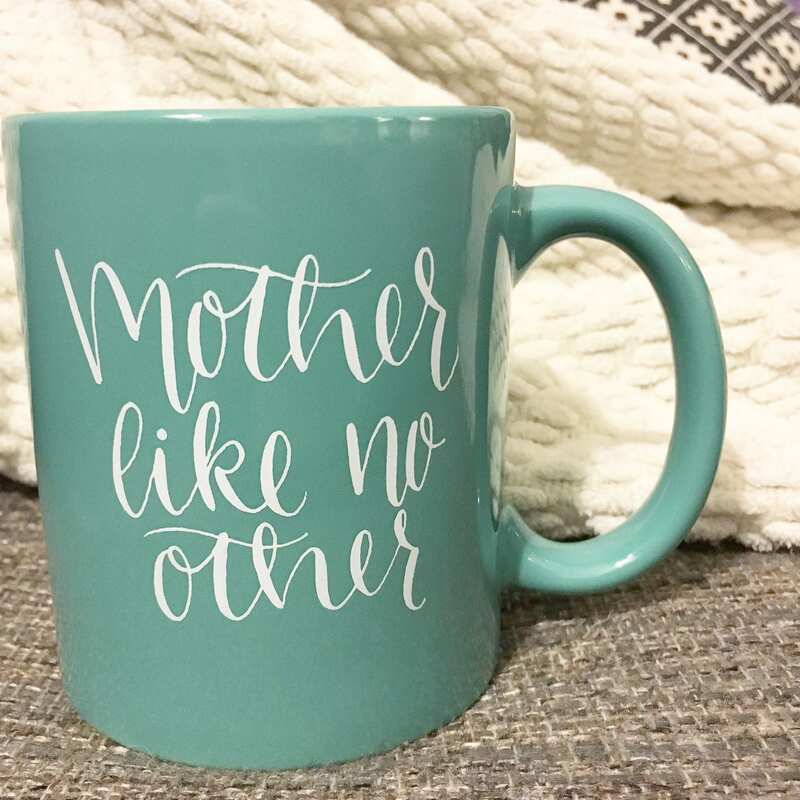 mint Mother Like No Other mug. The design is lettered in traditional pointed-pen calligraphy by me and screen printed in white on a mint ceramic mug by a supplier. Pleasant Avenue Paper Co. appears on the back in small print. Image is a digital rendering. Love this mug. I'm giving this to my sister as a push-present after her second child. It's the perfect gift for a mom...(or to give to yourself! )...plan to buy one for each of my mom friends!